One million Puerto Ricans have been forced to leave the island over the past ten years. It is the largest out-migration in more than sixty years. CNN Money also proudly reports, that John Paulson has invested over a billion dollars in Puerto Rico real estate. A web site called “Puerto Rico Luxury” provides real estate, tax, and shopping advice to all the new millionaires. 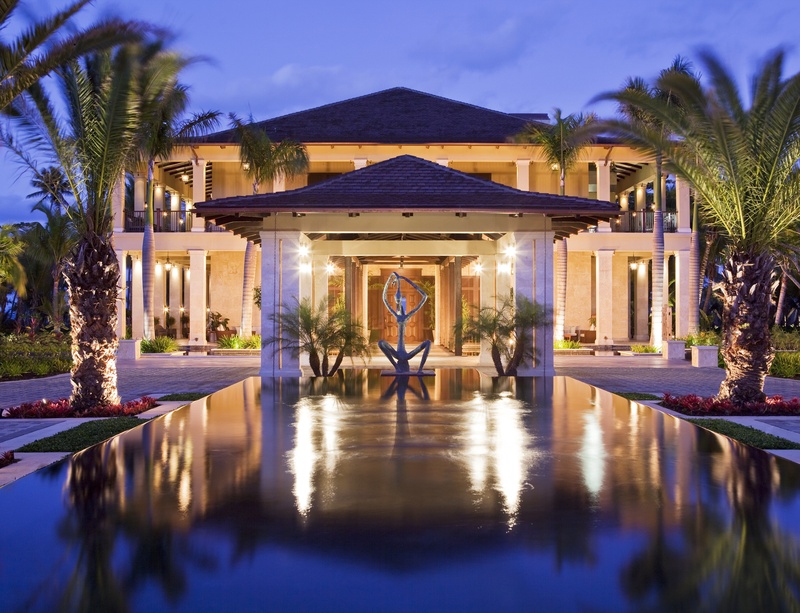 Sotheby’s displays “Puerto Rico Luxury Real Estate.” 41 homes priced between one and eight million dollars. Puerto Rico is also becoming a “tax haven” for the rich. The entire island is changing hands. As the old timers used to say…mas claro no canta el gallo. The tax incentives one of the post alludes to, were terminated by the Zclinton sdministratin not Obama. That was the 936 law. Now they have the 22 and 23 that creates a Tax heaven for American investors. What retired or Puerto Rican’s of wealth need to do is return to the island, and stop talking crap. Well what you guys expected, when you elect your leader? History repeating itself . The same thing happened when they first came in aided by Luis Munoz Marin. 2. I plan on moving there within this year to open up s business . I love my island. But let’s face it Puertoricans love el mantengo. If people don’t pay their taxes and their bills, the government cannot afford to pay all those who don’t. While I hate to see PR go down the drain, we need to try harder. Let’s get it together. Let’s work to get the island back in shape. That means getting our hotels and service in top shape so tourists come to see the beautiful PR AND NOT LEAVE to get better service elsewhere. Where’s our pride! No one is really “forced” to leave the island. There are only a handful of ways to come back strong from the political and fiscal abuse that Puerto Ricans caused to themselves. No one there wants to take responsibility! Btw the tax incentives were created, offered and submitted by the Puerto Rican politicians to save the island from total fiscal wipe out! Havong wealthy Americans and Puerto Ricans go live or do business on the island or export services out of the island is one of the best moves they should’ve hoped for. Any negative propaganda about this matter will seal the fate of Puerto Rico and its people who originally came in from all over the place and killed and raped Tainos! What goes around comes around. They should take full responsibility of their past actions and welcome the unique opportunity they have both to relocate freely into any other state and to welcome openly others from the states! 1) joining the military is a voluntary act. If Puerto Rico want to do it then so be it. 2) Puerto Rico is not being abusedby the mainland USA, it is the other way around. All you need to do is look at the amount of food stamps, and other services Puerto Rico receives and you be the judge! This is the American way …. “One million Puerto Ricans have been forced to leave the island over the past ten years. It is the largest out-migration in more than sixty years. Meanwhile, millionaire North Americans are being encouraged to move in. The US media are not trying to hide it…they’re doing it very openly. CNN Money recently announced that “There’s a Big Sale on Puerto Rican Homes.” … screw the locals!! A citizen living outside the U.S. Is still subject to U.S. Tax laws. But Puerto Rico has a unique status as a “( so called ) U.S. Commonwealth. Residents are considered ( considered? ) U.S. Citizens, but are subject to different tax laws, which offers ( Americans ? ) Americans from the mainland a window. So let me see if I can put this into proper English. Americans from the mainland are given permission to reap the misfortunes of Americans from Puerto Rico. Now does that make sense ? That to me sounds like Mr. Domino Sugar stealing from the farmers,U.S. Government stealing 40 cents on every dollar, not being able to vote for a president, but being able to die for a country that supposedly preaches justice and Liberty for all. What am I missing here?? I don’t see anything here that comes close to justice and Liberty for all. I see an exodus of a people leaving their birth land due to an oppression of injustice and foreigners taking advantage of it. I forgot to include the Jone’s Act as another injustice. Guess what? John Wayne is not my hero does that make me un-American? The title here is confusing, because Puerto Rico is part of North America, as are the island countries in the Caribbean. From the context of the article I’m guessing the author meant mainland U.S. Americans, although I suppose it’s possible he or she meant North Americans from all over the continent. John Oliver did a good segment about the economics and politics related to this on his show a couple weeks ago. It’s disgusting what the U.S. American government conspired to do to its own territory, Puerto Rico, in cahoots with businesses, over the decades. The U.S. Congress has the power to at least partially fix this and reverse this obscene trend and they must do so as soon as possible. the idea is to bring into the Island a large number of English speaking/thinking people so that they can force the Island into the 51st State. A mis Hermanos Boricua – Los Llamo! La Juventud “Entrepreneur” que puedan ponder un Negocio! Ya yo fui unos mesas atras y estoy planificando otro viaje.